One of the world’s leading airline companies is developing a collaborative research center in the heart of Tech Square. Delta Airlines will invest $2 million to build the facility, in which it plans to enhance operations and improve customer experience by tapping into the knowledge at Georgia Tech, and has committed an additional $3 million to the Georgia Tech Foundation. 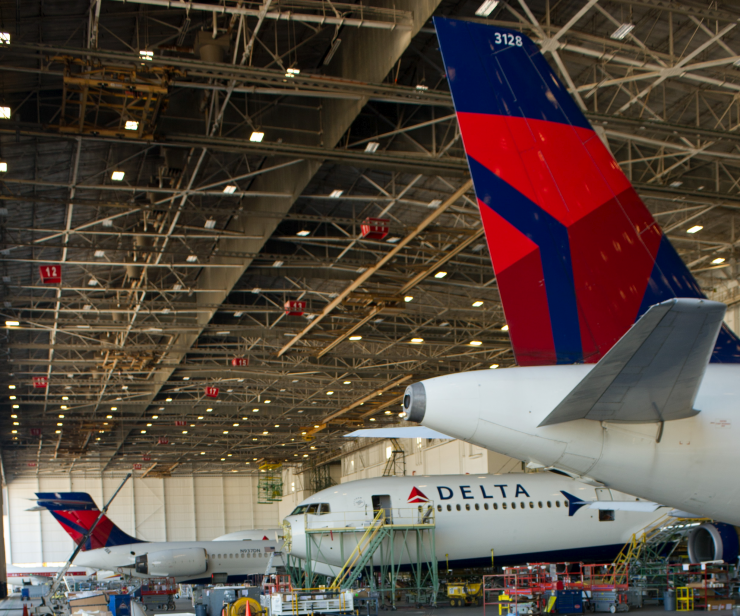 “Delta Air Lines and Georgia Tech have a rich heritage of working together in everything from research to hiring our co-ops and graduates. We are delighted that Delta’s collaborative research center will provide even greater opportunities for Georgia Tech students, faculty, and staff to work with this outstanding global airline,” said Georgia Tech President G.P. “Bud” Peterson. Delta has pioneered many firsts in the airline industry including the use of a hub and spoke system in 1955, being the first U.S. airline with motion graphic maps in the cabin showing the aircraft’s position and route in 1992, and launching the first mobile baggage tracking app in 2011. The innovation center at Georgia Tech will also be a first for any college in the United States. Read more about the Delta R&D Center here.